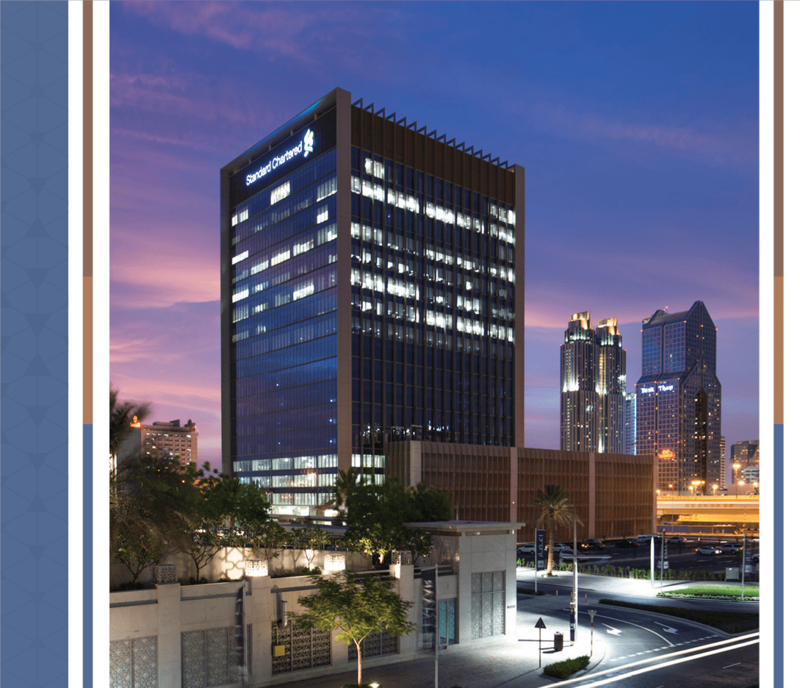 The new Standard Chartered Bank Tower (SCB) in Dubai was created as a result of a uniquely successful collaboration between the Bank and GRDI. The process started with joint site selection, agreement of commercial targets. Then collaboration on design, specification, construction and commissioning. At the outset an aggressive occupancy cost target was set that was 20% below the Bank’s then running cost. This target was exceeded. The market in Dubai has now moved in the Bank’s favor to a point where they occupy at over 30% below market. The building the first instance of a Global Bank working with a developer to deliver a fully fitted building on a pre-let basis for a single rental figure. The Agreement for Lease was based on GRDI delivering to all of SCB’s global workplace and engineering standards. This happened without exception and in many areas these standards were exceeded. The Agreement was predicated on SCB having full participation and final right of approval over all design and specification. The Agreement was based on SCB having zero capital spend or contribution with the exception of active equipment and artwork. This was delivered on. The development was delivered and the first moves happened exactly on schedule. The building was made available to SCB three weeks early to allow a Board Meeting to be held on the executive floor. The success of the development was due to a commitment to collaboration and trust. Clear alignment of interests was generated from start to end. Standard Chartered have stated that this model of delivery will be the basis on which they will engage with developers in the future. They maintain that this model when executed properly will deliver a better product, at a lower occupation cost and in a shorter timeframe. The final product has served as a basis for SCB redefining their Global Workplace and Engineering Standards. This has come about through a leaner, more simplified and more appropriate design and specification. This model of delivery has set a new high benchmark for the delivery of fully fitted, design and build to suit for financial services industry occupiers. The project has redefined Occupiers’ expectations of what can be achieved with the right approach in the Middle East and elsewhere. The project has caused a re-think among occupiers of a certain size about whether they have the same opportunity to reduce costs and optimize their portfolio. GRDI has closed another development in Dubai on the same basis with a Global conglomerate. GRDI will share detail and offer a reference on this project on a confidential basis. The fit-out would include all FF&E and structured cabling. The building would be highly efficient with floor plates in excess of 16,000 sq. ft. and working to a key metric of 90 sq. ft. per available desk. Parking would be provided at one space per 400 sq. ft. of NIA at no additional cost to Standard Chartered. The development to be in full compliance with the requirements set out in the Bank’s detailed Workplace and Engineering Specifications (a Tier 2 facility). The fully fitted space would be delivered to the Bank within 24 months of signing an Agreement to Lease. All service, estate and management costs would be fixed for the first 5-years of the lease, and subsequent years would be by negotiation. 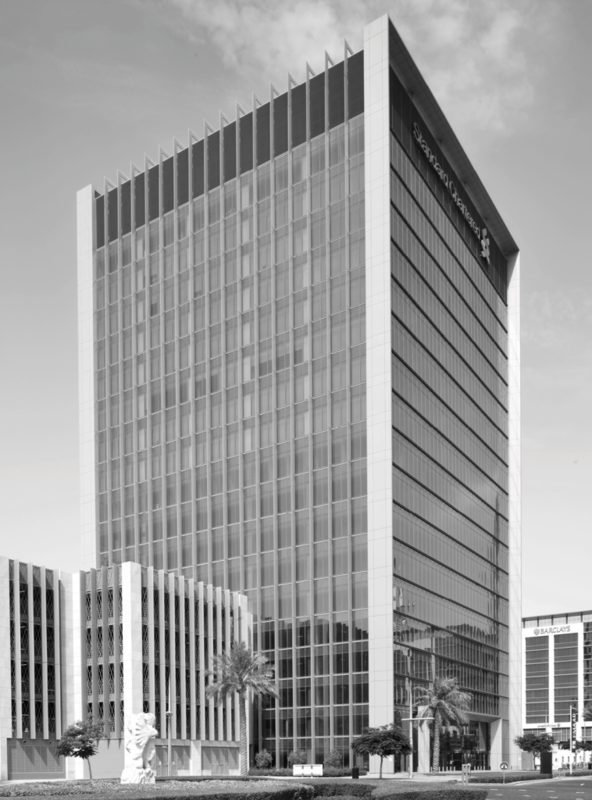 The Bank would have full standard pre-emption rights over all other space in the building and the lease would include standard carve out clauses in relation to the suitability and acceptability of other tenants. All desks would be AWS enabled. (IP Telephony enabling log in to phone with own number etc.). Prayer Rooms, Cafeteria and Main Technology Room (40 racks) to be provided. The interior fit-out needed to meet the Bank’s requirements not only in terms of specifications, but also in terms of Standard Chartered departmental operational requirements impacting space planning and interior design. Departmental operation requirements could not be fully defined for premises that would not be occupied for another 2 years. There was a need for cost surety for both the Bank and GRDI to ensure no cost overrun that could consequently impact the agreed rental rates, or call for additional cash investment over and above the Bank’s approved Project Authorization Request. Change in business requirements over the proceeding 24 months would impact space planning and interior design. Any agreement thus needed to be robust enough to enable inevitable changes, without risk to cost certainty and programme, and have a mechanism in place to deal with significant changes in scope that did have an impact cost surety and time. The backdrop for the delivery of the new building was one of multiple projects in Dubai having either been delivered late or having failed completely. It was clear that there existed a pervasive culture with the Dubai construction industry of late delivery. As with the inherent programme issues that existed in Dubai, quality was also a major issue that needed to be addressed. Many contractors had been bringing in unskilled labour to the market during the boom and this was clearly evident in the outturn quality of many projects.